Low. David Bowie wasn’t the happiest person on earth on his eleventh album (January 1977), which was subtly reflected in its title. Ian Curtis must have loved it. Bowie was recovering from a cocaine addiction in Berlin, while Curtis was recovering from growing up in England during the seventies. Bowie was supported by Brian Eno, who co-wrote the track ‘Warszawa’, the ambitious opening of side two. Curtis met his peers Peter Hook, Bernard Sumner and Terry Mason, who had formed a punk band together. Curtis joined the band as the singer, and they called themselves ‘Warsaw’. From this moment on, Curtis injected the band with lots of personal ‘low’, turning rage into desperateness, or punk into post-punk. The band made their first appearances as a support act for The Buzzcocks, before reaching its definitive line-up with Stephen Morris replacing Mason on drums during the summer of 1977. Caused by some legal issues with another band, the name of the band was subsequently changed into ‘Joy Division’, after a literary red light district in a nazi camp. As provoking was the main raison d’être for punk bands (after all, the band mentioned above was called ‘Warsaw Pact’), the four enlarged the controversy surrounding them by portraying a Hitler Jugend member on the cover of its first EP, calling it An Ideal for Living (June ’78). It was Tony Wilson, just after creating his own record label Factory Records, who offered the band a place in the spotlights by letting them perform for the first time on TV, in his own show (Wilson and his relationship with Joy Division was elaborately portrayed in the movies 24 Hour Party People (2002) and Control (2007)). 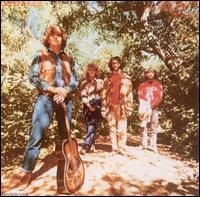 The popularity of the band subsequently grew, and they start the recordings for their first studio album. However, concerns are raised about Ian Curtis, who suffers from his first epileptic episode in December. The debut album was nonetheless released in the summer of 1979, called Unknown Pleasures. The sales of the album initially were disappointing, but significantly increased after the release of the single ‘Transmission’ (no singles were released from the album). 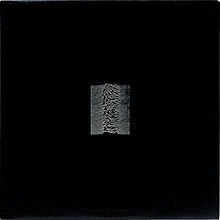 But more important, the combination of Joy Division’s original sound with the working methods of mad genius Martin Hannett resulted in an album that, above all, sounded very new. 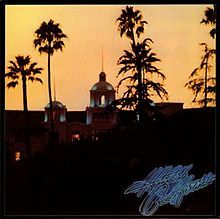 More than any other did this album describe the atmosphere of desperateness in Northern England during the late seventies. Even on The Smiths’ cynical debut album, you could still hear echoes of Roger McGuinn’s sunny guitar playing, while Unknown Pleasures only offers a low baritone and minimalistic instrumentation. The album can in fact be divided into two types of songs: tracks (6) with very dark lyrics on which depression is cunningly camouflaged by a dynamic and often uptempo instrumentation, and songs (4) that overtly ask you why you still haven’t killed yourself. Let’s start with the first ones, as the brilliant album opener is one of them! It’s Stephen Morris kicking things of on ‘Disorder’, with an uptempo drum rhythm that survived the band’s punk years. Right on this opening track it becomes clear that this is no place for screaming singers and primitive guitar riffs that are repeated till eternity: the uncontrolled punk rage has been replaced by resigned depression; a feeling exhaled best by no one less than the bass player, the most obscure species among musicians. It’s Peter Hook calling the tune here, condemning guitarist Sumner to complement him. Meanwhile Curtis sings about the pleasures of life, being unknown to him as he’s losing ‘the feeling’. Also on side 1 is ‘Insight’, an interesting song musically (the general lyrical theme may be clear already, besides, their specific meaning is often open for interpretation). 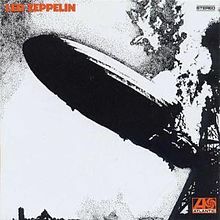 While the drum pattern doesn’t differ much from ‘Disorder’, the bass line would return later in the tremendous (and much better) song ’24 Hours’ on the following album Closer. Moreover, the influence of Hanett is clearly audible here, with vocals that were recorded through a phone line and lots of special sound effects. The four other songs in the first category are to be found on side 2, back to back from the start. ‘She’s Lost Control’ is the first in line and also the most interesting. Of course it’s one of the band’s best known songs because of the fact that Curtis sings about a girl he once saw while she was suffering from an epileptic attack. But above all, listen to the surprising combination of that simple drumbeat (which I seem to have heard another 843 times in random electronic songs afterwards) with those sharp guitar riffs from Sumner! Following are ’Shadowplay’ and ‘Wilderness’, with the first being one of the few tracks with a dominating guitar (including a real opening riff). The second one has another catchy bass riff which creates a moderately relaxed atmosphere that contrasts in an absurd way with the, again, dark lyrics. The penultimate track on the album is ‘Interzone’, by far the most punky track on the album. Not only because of its minimal length (2’15”), but also because of its high pace, which is set by Sumner. Adding the alternating vocals between Hook and Curtis makes this song the odd man out, but therefore not less delightful. Over to the second category of songs on the album then, starting with track two, ‘Day of the Lords’. 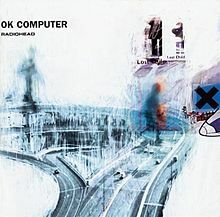 While you can pep up any party with the albums’ opener, the second song is well suited to send everybody home in anxiety, thinking about the remains of what once was a person, sitting in the corner of a dark room with a pistol on his bed. No doubt that the synthesizer from the chorus will still chase them down in an occasional dream, while Curtis asks them where it will end. The following song,’Candidate’, only further intensifies this mood. Not just for using some haunted house sounds, but especially because Curtis’ frightening voice is now only supported by a minimal drum and bass section. Side 1 is closed by ‘New Dawn Fades’, which has a great intro with Hook and Sumner playing in opposite directions. It also contains one of Curtis’ best vocal performances on the album (building up towards a climax in the end), which makes this song one of the highlights on the album. Last but not least, the album is closed in a sinister way with ‘I Remember Nothing’. This song might give you the idea that Jim Morisson didn’t die after all, that he now has a hypermodern studio (including a large collection of Hannett’s sound effects) at his disposal to make a sequel for his own debut album’s closing track, ‘The End’. The recordings of Joy Division’s second album, Closer, started early 1980, while Curtis’ epilepsy worsened and also appeared during live performances. In the early morning of May, 18th 1980 Curtis hangs himself, right before the band would undertake its first tour around the US. The posthumous single ‘Love Will Tear Us Apart’ was released in June, followed by the album in July. Unlike The Doors, the three remaining members didn’t continue without its original singer, but transformed into New Order. Unknown Pleasures was one of the best attempts to come up with something new in rock music’s history. The questions remains whether or not the band would have stagnated on this point of breakthrough afterwards (variation never was the band’s greatest trump). Considering this, the short lifespan of Joy Division might have been its blessing, and critics might touch the truth in this way when stating that the band owes his praise because of Curtis’ suicide. However, their two albums remain two of rock’s finest and deserve your attention. Enjoy.